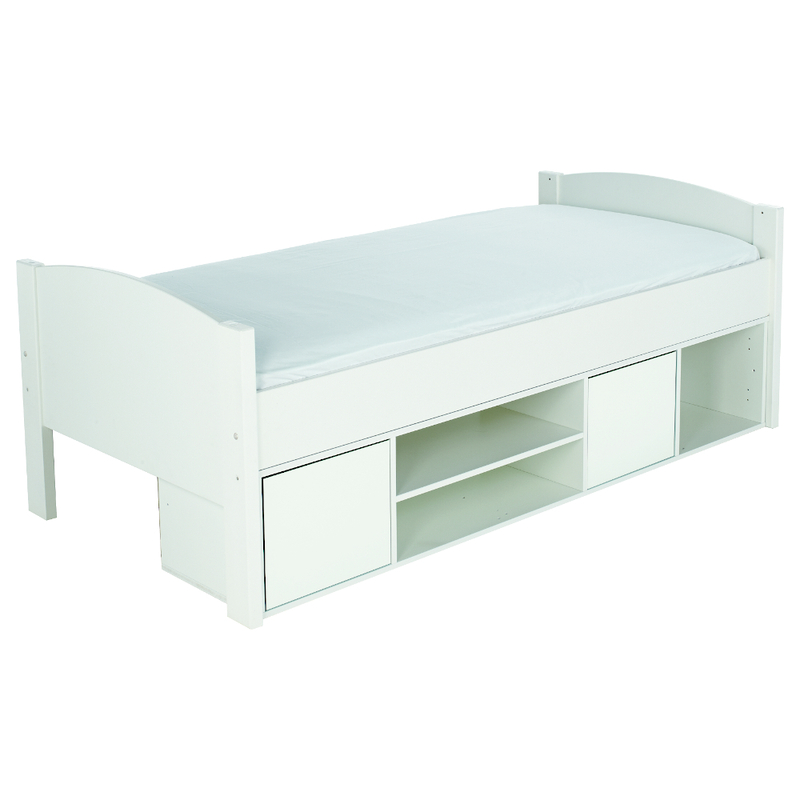 Includes Uno S Storage Cabin Bed with white doors. 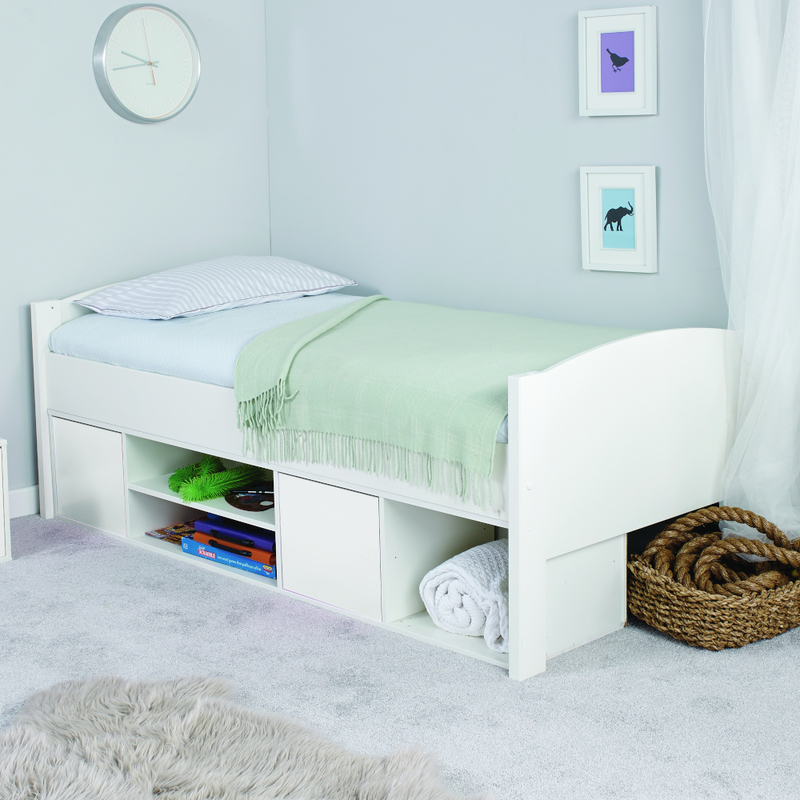 Cabin Bed Frame including Underbed Storage Unit with 2 white doors. White lacquered finish with white feature doors and headboards.